Older homes have a lot of character and architectural detail. However, they don’t always have the newest appliances or the latest updates – often, that includes electrical wiring. Historic and older homes should be rewired about every 50 years, with regular maintenance along the way. If you’re moving into an older home that needs to be rewired, proceed with the electrical upgrade as soon as possible. Why does an older home’s electrical need to be rewired? Outdated wiring is one of the top five causes of electrical fires. Old wiring often uses outdated materials such as non-metallic or aluminum wiring. These outdated materials can cause electrical malfunctions that commonly begin house fires and put families at risk. Older electrical systems weren’t designed to keep up with today’s electrical demands. The average American homeowner spends up to 2.7% of their income on energy bills. Insurance companies are aware of the risks of old wiring and may not cover a home that needs an update. Having your home rewired not only makes it safer but could lower your homeowner’s insurance premiums and your monthly electricity costs. How do I know if my home has dangerous wiring? If you notice any of these problems around your home, contact a licensed electrical contractor immediately. 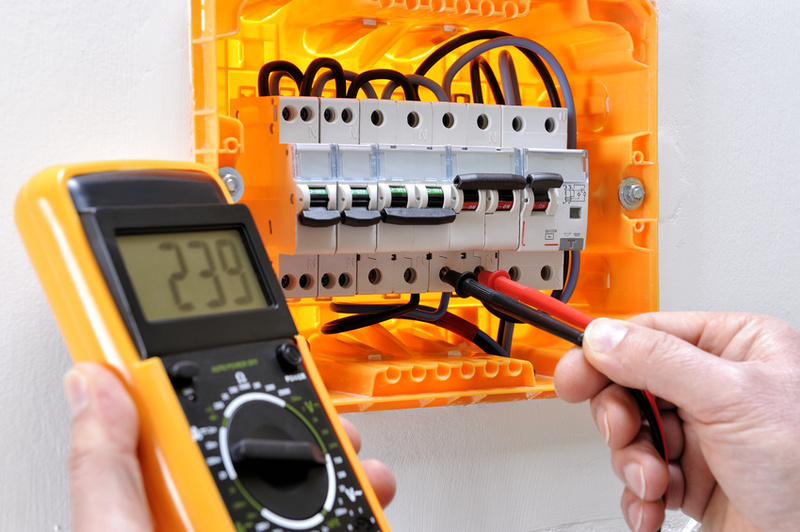 These are important signs your electrical system may not be safe. Addressing them quickly can help prevent expensive repairs or serious risk of damage. Looking for a company to rewire your home? Monthly savings is a major bonus on top of knowing your home’s wiring is safe and up-to-date. For instance, the average homeowner can save up to $180 a year with a properly programmed thermostat. Amos Electric Supply is the electric service company you need to get your home on track toward energy efficiency and safety this winter. Contact Amos Electric Supply today to learn more about our residential electrical services, electrical contracting, and how we can reduce your electricity rates.